What is a storm? It is a frightening tumultuous swirl of circumstances. It’s a situation where everything we hold dear is threatened. It’s something that dramatically and unexpectedly interrupts our calm routine. And a storm is a situation that demands that we immediately seek shelter and safety. You may be experiencing such a storm in your life or in your family at this very moment. But that storm is the very place where God wants to meet you in a new way. What was the result in Job’s life? God revealed things to Job that he did not previously understand (Job 42:3). More importantly, God revealed Himself personally to Job in a whole new way–“I have heard of You by the hearing of the ear; but now my eye sees You” (Job 42:5). As a result, Job experienced a whole new level of repentance and humility (42:6). His character was deepened and changed, so much so that he stopped reacting in anger against his friends and their counsel. Instead, in spite of his own incredible suffering, he prayed not for himself, but for his friends (Job 42:10). After this work of revival in his life, God was pleased to again bless Job, this time twice as much as before (Job 42:10-17). In the midst of a storm is where God often reveals Himself to us to bring spiritual deepening and revival. That’s how God manifested Himself and rescued David (Psalm 18:6-19; Psalm 29:1-11). That’s how He revealed Himself to Ezekiel (Ezekiel 1:4-28). God revealed Himself and brought revival and renewed purpose to Jonah through a storm (Jonah 1:1-2:10). 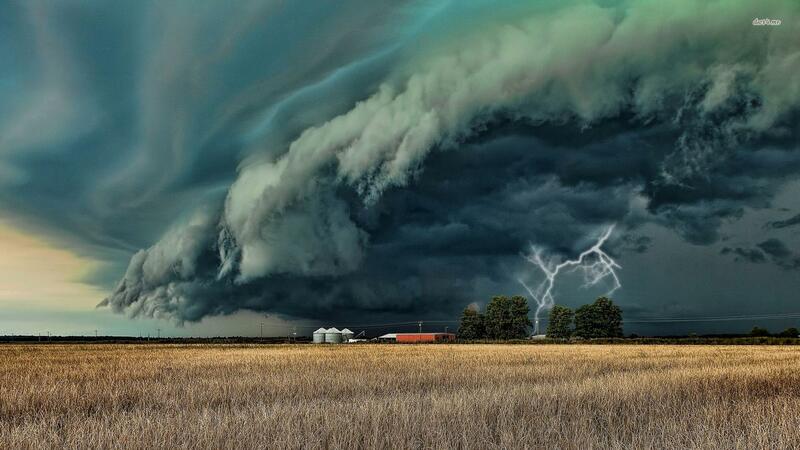 Nahum said of the Lord, “in whirlwind and storm is His way” (Nahum 1:3). It was through storms that Jesus repeatedly revealed Himself in new ways to His disciples (Matthew 8:23-27; 14:22-33; Mark 6:45-52; John 6:15-21). And it was through a storm that God revealed Himself in a new way to Paul and his companions (Acts 27:14-28:10). Why a storm? It gets our attention. And it motivates us to seek God desperately. So will you seek God earnestly in the storm you find yourself in now? Do so, and you can expect to meet Him in a whole new way.